/ - Samsung Galaxy Tab 2 Best Seller Android Tablets - Samsung Galaxy Tab 2 are Keep yourself entertained at home and on the road with the Samsung Galaxy Tab 2 (7.0). Weighing just 12 ounces and sporting a vibrant 7-inch touchscreen display, the Galaxy Tab 2 runs the Android 4.0 ("Ice Cream Sandwich") operating system and is powered by a 1.0 GHz dual-core processor to help you achieve maximum usage across various demanding applications. 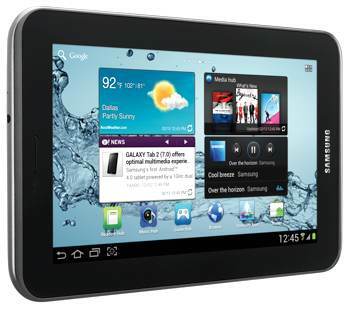 Samsung Galaxy Tab 2 (7-Inch, Wi-Fi).Galaxy Tab 2 is endowed with a striking WSVGA 7 Inch PLS TFT LCD touch screen display that boasts a 1024 x 600 resolution.Ports and Connectors: 1 x 3.5mm Audio, 1 x microSD Slot,1 x Docking Connector, Interface: USB 2.0. Battery Life: Music Playback (Up to 77 Hours),Battery Life: Video Playback(Up to 6 Hours). Anda baru saja membaca artikel yang berkategori Green Tech / Rumor / Tablets dengan judul Samsung Galaxy Tab 2 Best Seller Android Tablets. 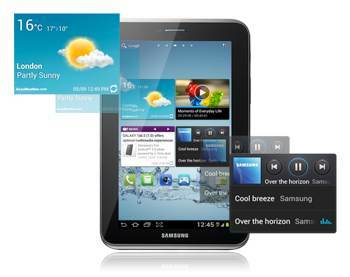 Anda bisa bookmark halaman ini dengan URL http://tekno.infoberguna.com/2014/01/samsung-galaxy-tab-2-best-seller.html. Terima kasih! 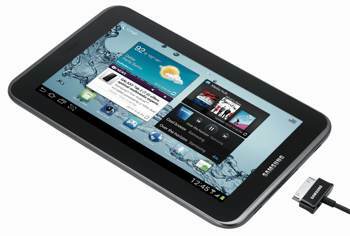 Belum ada komentar untuk "Samsung Galaxy Tab 2 Best Seller Android Tablets"